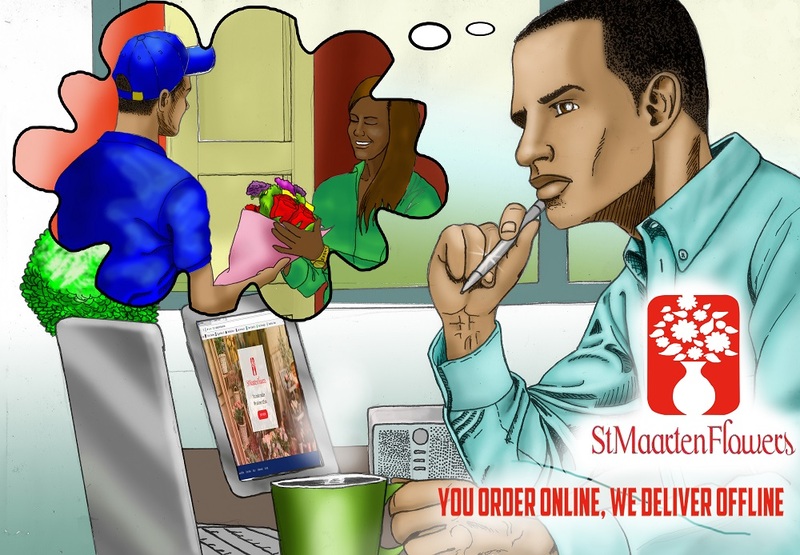 ST. JOHN’S ESTATE – The Wizards, specializing in computer repairs and onsite services, is now the official reseller for an environmentally-friendly product that has a very unusual feature: A solar powered LED lantern that is a phone charger as well. We tested this product at StMaartenNews.com and it actually works. Here is our review of the LuminAID Packlite Max, a solar powered lantern and phone charger in one. 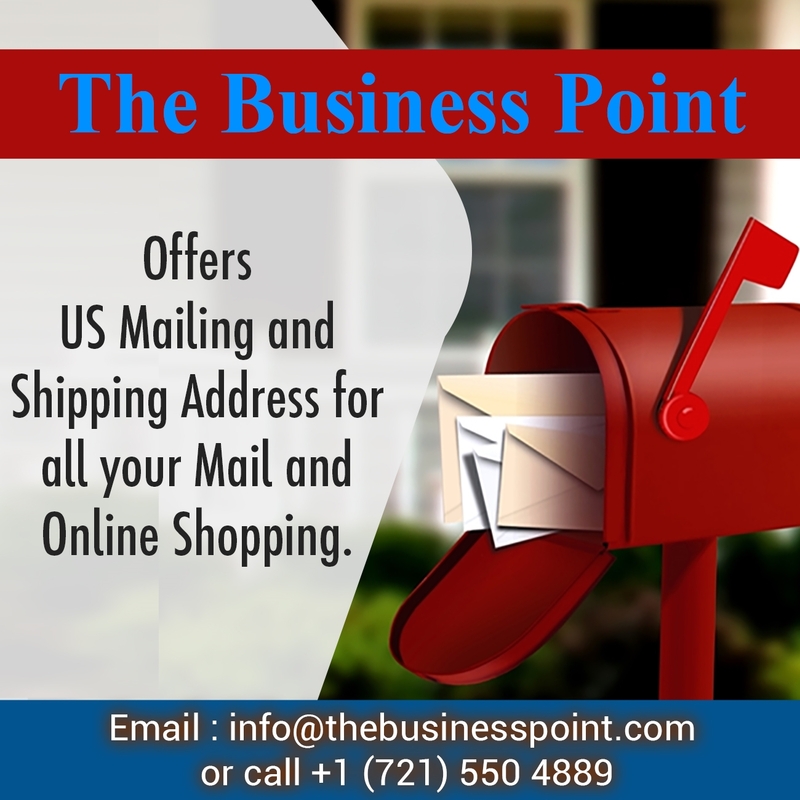 The Wizards has always been conscious of their role as a responsible corporate citizen. 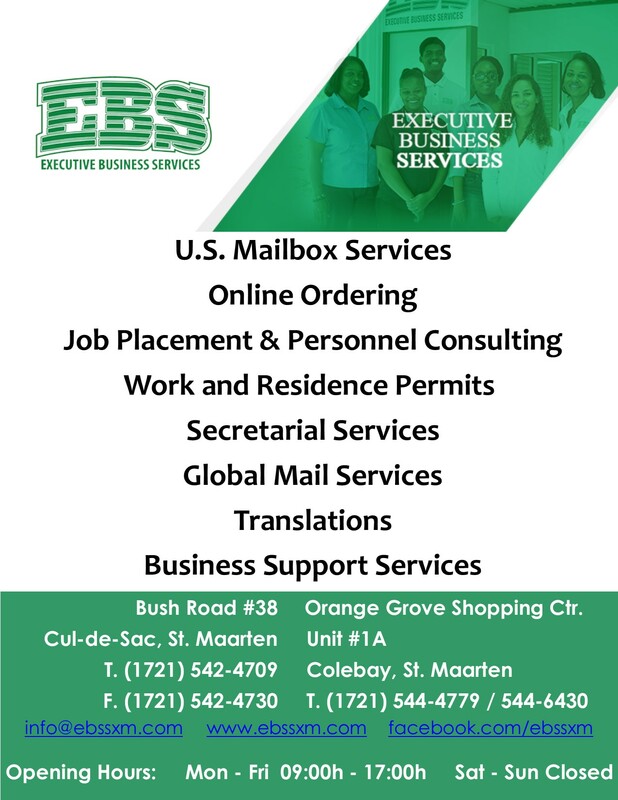 The Wizards has been limiting their carbon footprint on the island of St. Maarten by utilizing solar panels to power their store’s operations and thereby generating well over $1000 US Dollars annually in savings on their electricity bills. The Wizards is now looking to further to limit the carbon footprint of their clients as well by allowing customers to purchase a product from LuminAID, an environmentally-friendly company with a strong humanitarian background that makes inflatable, solar powered lights that are lightweight, waterproof and surprisingly bright, and that product is the LuminAID Packlite Max 2-in-1 Phone Charger. 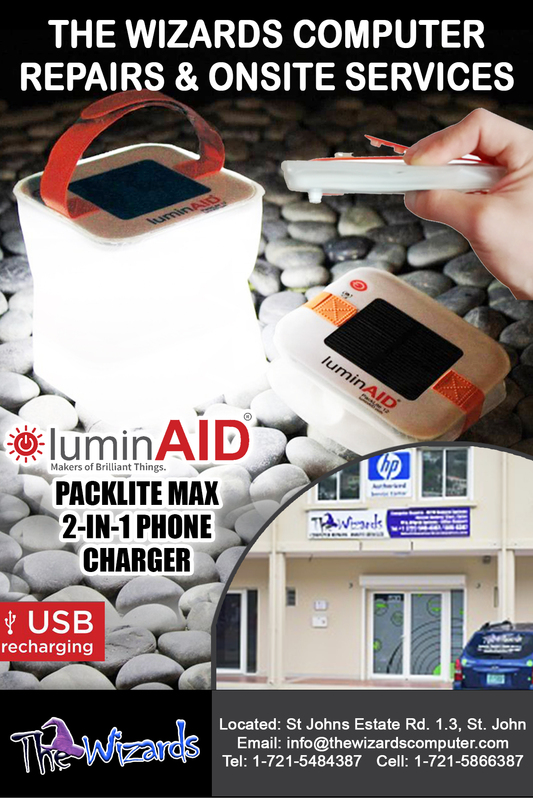 We like LuminAid PackLite 2-in-1 Phone Charger for a number of reasons. It comes with a miniature built-in solar panel allowing it to charge its own battery. It acts as a light source and also serves as a charger for other devices that can be connected to it via a USB port. The LuminAid PackLite Max 2-in-1 Phone Charger is similar to a Powerbank , but even better, as a Powerbank needs a power-outlet to charge. Without an electricity outlet, a Powerbank is useless. 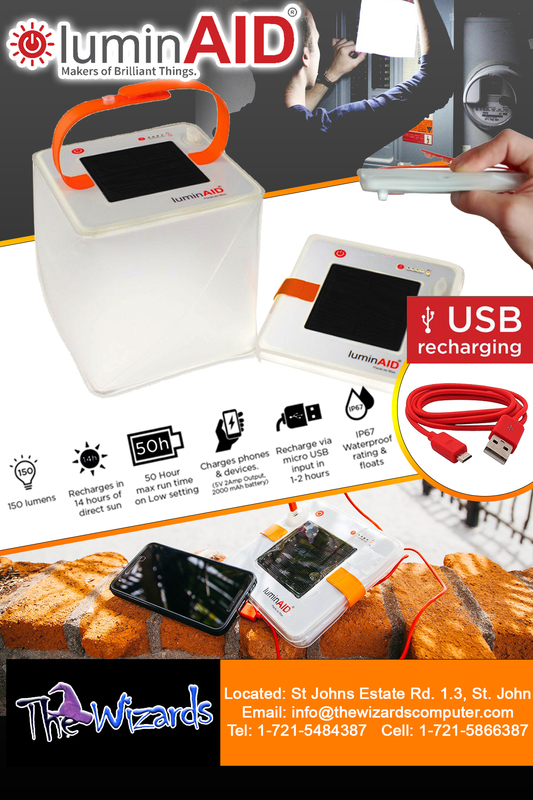 The LuminAid PackLite Max can also be charged from another power source or via an electrical outlet using the USB cable, but using sunlight to charge its battery is its main feature. With St. Maarten constantly suffering a high number of power outages – repeatedly and too often for our taste – the LuminAid PackLite Max can help not only as a light source for at least 50 hours, but also to keep your smartphone or tablet charged. The LuminAID Packlite Max is lightweight, waterproof and very easy to transport and therefore also great for outdoor use as it can be inflated into a cube shape to give light at five different brightness settings, including an emergency setting to broadcast SOS light signals. The latter was another surprise that came to light during our testing. With the hurricane season officially started, we highly recommend you put the LuminAID Packlite Max on your list of essential items to purchase before any hurricane of any category hit us. Besides items such as flashlights, batteries and candlesticks, the LuminAID Packlite Max has just hit the local St. Maarten market in time to be included in this list of essential light sources as well. Our advice: Don’t wait until the last minute to buy a LuminAID Packlite Max, a 2-in-1 illumination product that includes a phone charger. If another major hurricane hits St. Maarten and be just as destructive as Irma or Maria was, how long would it take for vitally needed utilities such as electricity power to return? No one knows, but with a LuminAID PackLite Max 2-in-1 product you don’t have to worry about being without a light source or a charged phone. Because one thing is for certain, we will have a sun shining after a hurricane has passed as there is always light after darkness, no matter the circumstances. The LuminAID Packlite Max is very simple to use; displays charging or charged status and different light settings with the push of a button. The LuminAID Packlite Max deflates and compacts to about the size of a deck of cards. The LuminAID Packlite Max has a convenient strap to hold or hang on your backpack and charge while you’re walking about. The LuminAID Packlite Max floats, is waterproof and can be used in all weather conditions. When hung by its strap in your tent or under your tarpaulin the LuminAID Packlite Max fully illuminates the whole tent or room to a brightness beyond belief (PackLite 12 is capable of 50 lumens but LuminAID’s brightest light is capable of 150 lumens). The LuminAID Packlite Max looks cool, your friends and neighbors will beg you to borrow it. A single charge can last up to 12 hours, and it can hold a charge for over a year (so if you are battened down during a hurricane storm and the power goes out, you can depend on The LuminAID Packlite Max to protect you from darkness long enough until the sun rise the next day). Packlite Spectra – for $20 US Dollars. The last model, the LuminAID Packlite Spectra, changes color, which is nice for when an evening needs some color and lighted ambiance. 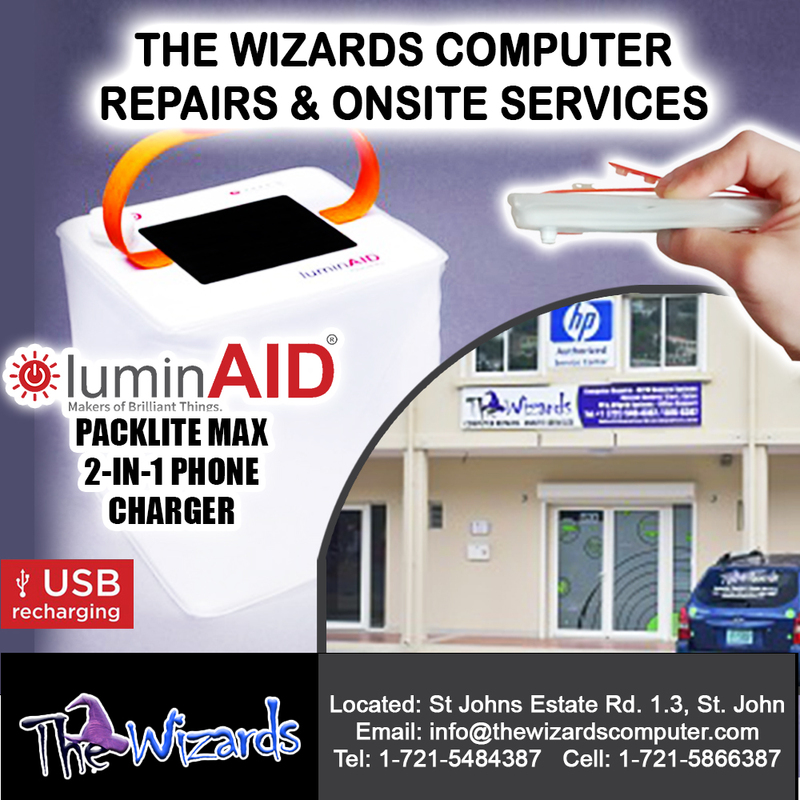 Visit The Wizards today in St. John’s Estate for more information and to buy your new LuminAID Packlite product. 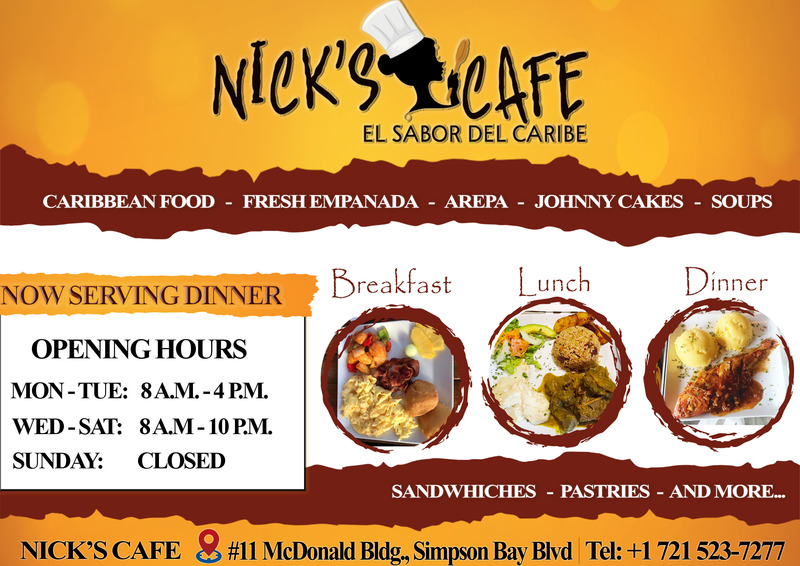 We guarantee you won’t regret you bought one if a hurricane hits the island.